The combination of PrestaShop and free online translation service instantly from google. 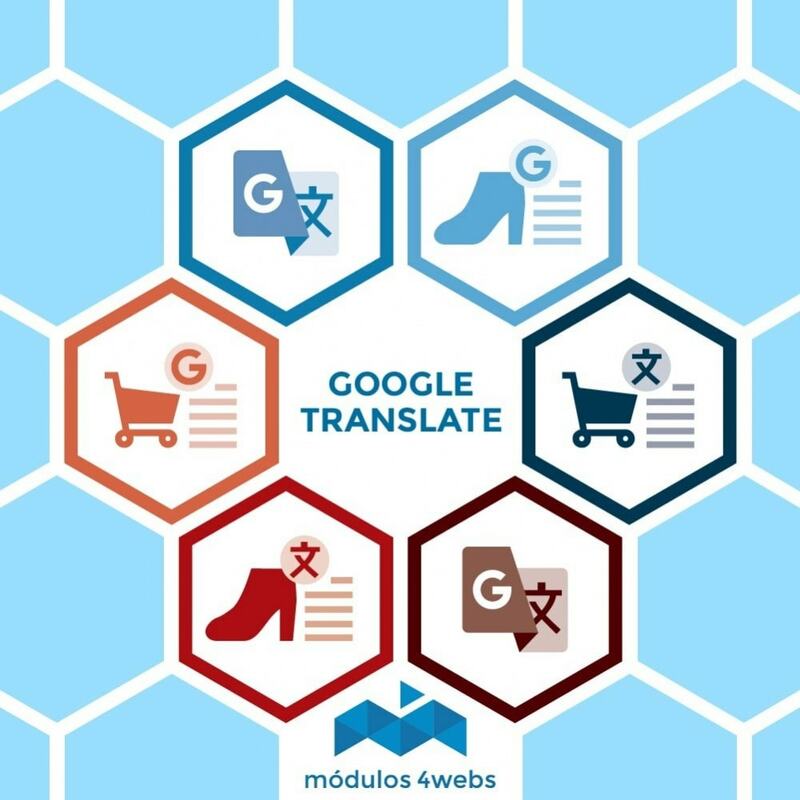 Can integrate Google Translate into your store Prestashop easily. Works on the side columns of the page and top Store. The language to translate is detected based on the ISO Prestashop and browser. 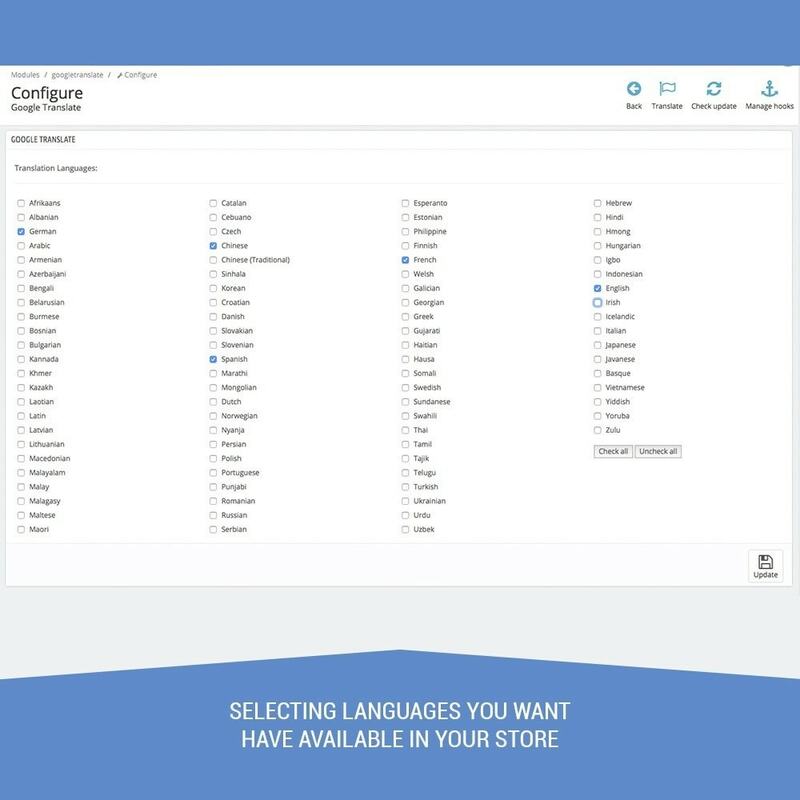 You can enable or disable languages easily, all languages are manageable. This translator supports: Spanish, Afrikaans, Albanian, Arabic, Armenian, Azerbaijani, Bengali Bangla, Belarusian, Bulgarian, Catalan, Czech, Chinese, Korean, Haitian Creole, Croatian, Danish, Slovak, Slovenian, Estonian, Basque, Finnish, French, Welsh, Galician, Georgian, Greek, Gujarati, Hebrew, Hindi, Hungarian , Indonesian, Irish, Icelandic, Italian, Japanese, Canadian, Latin, Latvian, Lithuanian, Macedonian, Malay, Maltese, Norwegian, Persian, Polish, Portuguese, Romanian, Russian, Serbian, Swahili, Swedish, Tagalog, Thai, Tamil , Telugu, Turkish, Ukrainian, Urdu, Vietnamese, yiddish. All visitors can see the relevant page in your language. Google Translate does not translate images, flash files or other files other than text. In some cases, Google Translate is capable of changing a symbol, character or numbering is automatic translation from Google and may not be exact. 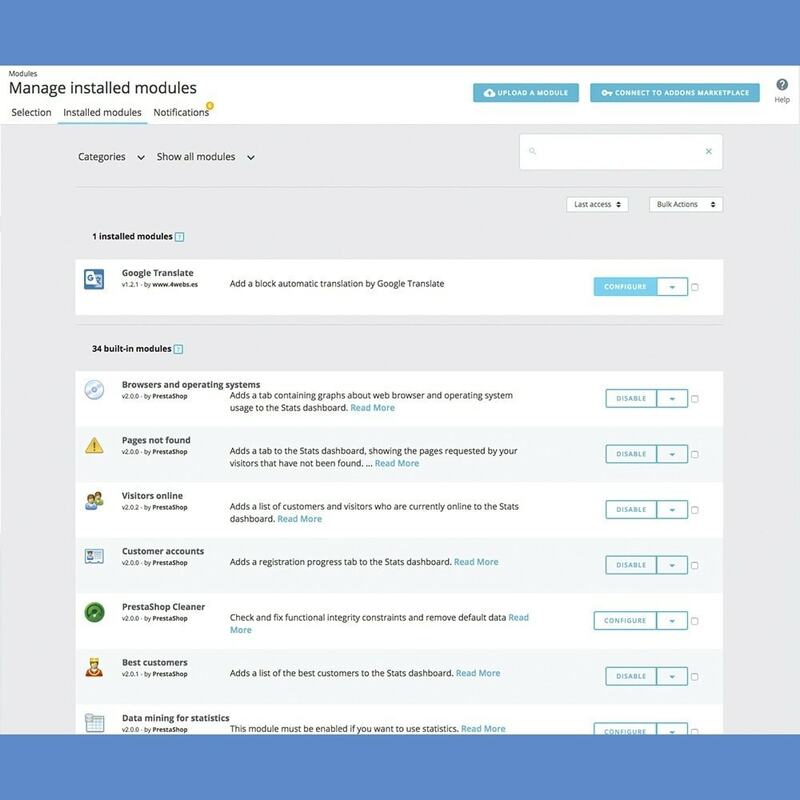 Simply upload the module, install and select the desired language, very easy.